Supergirl (Melissa Benoist) may be saving National City from otherworldly threats on the small screen on The CW’s Supergirl, but it looks like the character will make one giant leap to the big one. According to a brand new report, the Girl Of Steel will get her chance to fly once more on a cinematic level thanks to a script that will be penned by 22 Jump Street writer Oren Uziel. More on the story below. Deadline first broke the story. While they could not get into specifics, they did say Uziel would write the script for Warner Bros. and DC Entertainment and give the DCEU some lighter fare. After all the doom and gloom we’ve seen in Man of Steel and Batman v Superman: Dawn Of Justice, and some poor attempts by Justice League, a sunnier Supergirl could be just the thing for the DCEU. But we have yet to see if anything comes up from this. After all, we’ve seen many titles announced, only to see them stuck in development hell. Uziel previously worked on the scripts for The Cloverfield Paradox (2018) and Shimmer Lake (2017), as well as the upcoming Mortal Kombat and Sonic the Hedgehog. Now this wouldn’t be the first time that Supergirl has appeared on the big screen. Helen Slater first played the title character in 1984, although it wasn’t met with the same enthusiasm as her male counterpart’s Superman film, starring Christopher Reeve. And it wouldn’t be until years later when Supergirl would appear on CBS, then transitioning to its current home on The CW. 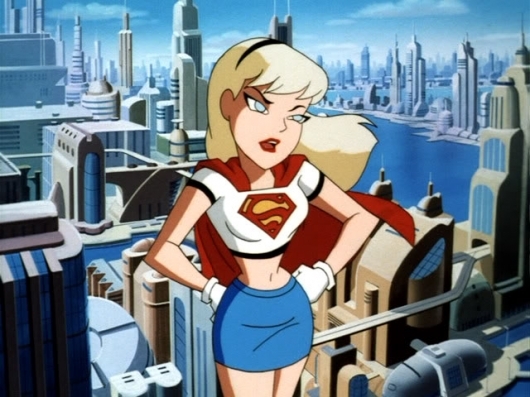 As for Supergirl, she made her comic book debut in 1959. Though her origins have changed, Kara Zor-El is the older cousin of Kal-El (Superman). She was tasked with protecting her much younger infant cousin at the time of Krypton’s demise, but an energy surge knocked her pod off course and as a result, she appeared after Superman’s pod crashed on Earth. While she may not be as experienced as Superman, she still has the same vigor and spirit as him. She even headlined her own comic’s title. Now somewhere along the way I stopped watching the television series, although I hear it has maintained its quality since the debut. I remember seeing a very cheery show that had plenty of action, humor, and a bit of that CW drama. And it wasn’t nearly as melodramatic as its fellow Warner Bros. TV counterparts, like Arrow. So we will just have to wait and see if this film actually sees the light of day. But if the success of Patty Jenkins’ Wonder Woman means anything, it tells us that audiences want to see more female superheroes. Luckily, there’s Wonder Woman 1984 and the Harley Quinn/Birds Of Prey spinoff planned for the big screen. So it will be exciting to see these characters flex their own muscles. No director or producer has been named for the Supergirl movie, but we will keep you posted.